Kiara 100% Pure, Natural Organic Macadamia Oil is high in monounsaturated fatty acids, including Oleic Acid (Omega 9), which enhance moisturising, regenerating and softening of the skin. Kiara 100% Pure, Natural Organic Macadamia Oil is high in monounsaturated fatty acids, including Oleic Acid (Omega 9), which enhance moisturising, regenerating and softening of the skin. These fatty acids also have anti-inflammatory properties. The Linoleic Acid (Omega 6) in Macadamia nut oil helps to restore the skin’s barrier function and reduce water loss. Macadamia nut oil stimulates and rejuvenates the skin, making you look and feel younger. It has also been used to minimise the appearance of scars, sunburn and other minor skin irritations. 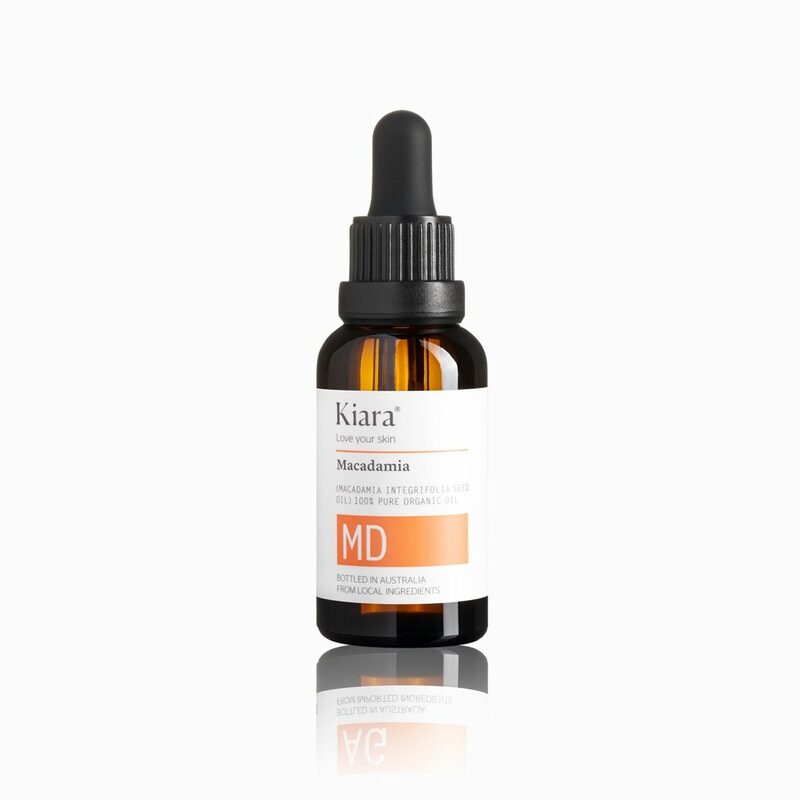 I got my Kiara macadamia oil intended to use it as a winter serum as my skin is so dull. The product feels lovely on the skin but it takes a while to absorb. I also use a tiny amount in my hair after washing, but I only recommend this if your hair is very dry . it made hair beautiful and silky after blow drying. Over all I recommend this product. This is the best moisturiser. I can’t describe how much my skin has improved with this oil and in such a short amount of time. It absorbs quickly into the skin without leaving an oily residue and leaves my skin dewy, soft and moisture. It has also plumped out lines around my eyes that I was starting to get that are now gone. All you need is a few drops that is more than enough for your face and neck. One bottle is definitely going to last for a long time. This is the definitely a keeper. If the world ran out of oils and went looking for them- my house would be an abundance- I’m telling you- so of course I just had to add to my collection with a macadamia oil- so I brought this desperately to add to my collection! Kiara Macadamia Oil, which rich and oily, ends up soaking into the skin over a few minutes- and I thoroughly enjoy rubbing this into my skin- leaving it soft and smooth. This oil has been a god send in winter to my dry itchy skin- it feels soft and smooth post use of this product- and I love the way my skin instantly feels calm and smooth! 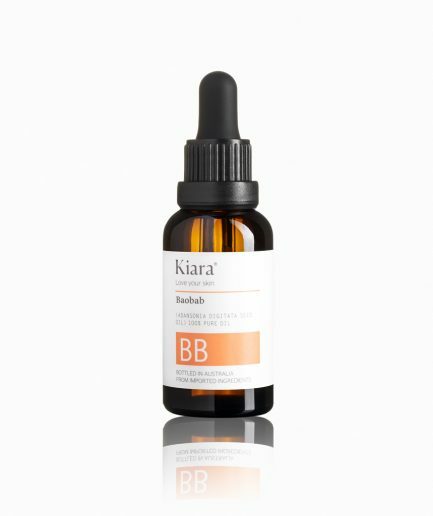 This oil is rich but absorbs into the skin- and doesnt leave me oily or shinny- especially on the fact (but again only a small amount is used on the face). The oil leaves my skin looking hydrated and sooo soft when I touch it. The oil plumps the skin and my skin feels really moisturised from a deeper level. It seems to really really absorb into those deeper layers. I have been using this mainly on my body and fine lines have been diminished especially on my neck- and plus it doesnt make me look oil. This oil also seems to prevent future moisture loss and it leaves to less dryness. Over winter this was just amazing and I cant recommend it enough! It was so great- Im not sure about summer for me because it is a tiny bit oil- but really in winter it was great- if you have dry skin eczema or need to prevent the dryness extra layer than it just a super buy. It will last and last as you only need the tiny amount and it spreads far. This oil is now going on permanent rotation in my beauty routine. It’s light, feels fantastic and is great value for money. A little really does go a long way. It took me a day or two to get the balance right, like any oil it leaves a residue and I used a few more blotting sheets than usual before I got it right. But I just pop it on a few minutes earlier in the mornings (at night not an issue) so my skin has time to absorb before sunscreen, primer and makeup. It’s lovely as an after shaving balm and I’ve been using on my hands for an extra treat. I really can’t emphasise enough how much of a difference this has made to my skin. I would recommend it to anyone! This is a beautiful oil, that leaves my skin feeling soft and nourished. I really enjoy using this at nighttime before bed. It helps me to relax and moisturises my body while im sleeping. The oil rubs in nicely and can be used as a massage oil too. I had no irritation. It has left my legs looking beautiful. The bottle is great, and is fantastic to use. I LOVE THIS. It is so good. I use one pump to cover my face and any left over I put it through my hair. This is meant to be for anti ageing purposes but I’m only 21 so I can’t attest to any drastic results. But this moisturises my skin really well. And it sinks into the skin after 3-5 minutes. However the main reason why I love this is the difference it made to my hair. I have curly frizzy hair that is prone to A LOT of split ends and this helps my hair to look so healthy. I highly recommend it. I will however warn you not to put too much in your hair because it does weight it down. Give it a go and see for yourself. Big thumbs up from me.